How to Stand Out in an Interview – Be a red duck! Unfortunately, these days there is enormous competition for far fewer jobs and you need new ways to distinguish yourself from the sea of applicants. You can’t expect to get job interviews and job offers solely using traditional tools and tactics; it’s just not enough. And if you are not using new techniques, then you will definitely be left behind. Today’s modern world requires a modern approach. After many years of helping elite performers advance their careers, and comparing those leaders to other people who never reach their goals, I’ve realized something: underneath it all, everyone is gifted or unique in some way, but those gifts are often buried under layers of fear, self-doubt, and uncertainty and often job seekers don’t know know how to make themselves stand out from the crowd. Just as rubber ducks pretty much only come in yellow, job seekers pretty much all seem to be the same, boring shade. My methods teach you, step-by-step how to reveal your inner red and stand out in a sea of yellow! Red Duck Interviewing (previously Ace Your Interview) Coming Soon! How exactly do you prepare so you get more job interviews, and ultimately more job offers? There are four key elements to the powerful red duck strategy to ace your interview. First, in today’s market you must have an active professional online presence and powerful personal brand. This allows hiring managers and recruiters to actively seek you out, or at least creates an extremely positive first impression. In this book I give you detailed steps to develop a professional online presence that gets you noticed- in the right way! Next, you need to research. Today it’s not enough to briefly review the company website. If you want to set yourself apart, you have to really dig deep. Then you apply what you’ve learned to your own experiences. To help you be the most persuasive for each interview, I developed a matching method to help you identify and define your success stories and then match them to each specific position. I will teach you this detailed preparation process, so you can effectively choose and share the most important abilities, experiences, and traits from the perspective of the potential employers—the ones they will find most valuable and persuasive. Once you’ve determined what the potential employer needs to know about you, you need to communicate your skills and accomplishments in a clear, concise, and compelling manner. I will go over the most common questions, and even uncommon ones, to teach you how to apply your carefully chosen persuasive accomplishments to any question the interviewer asks. Finally, you have to exude a humble confidence for your in-person interviews. I will go over tips and techniques backed by science-based research to help you project a confident, positively persuasive impression on the phone, on Skype, and in person. These four elements are the framework for the modern strategy to unleash your unique value and set you apart from the competition. When implemented successfully, these step-by-step instructions will not just make you a good choice, they will make you the ONLY choice for the position. These techniques allow you to reveal your inner red duck and shine bright red, so that you stand out in a sea of yellow. 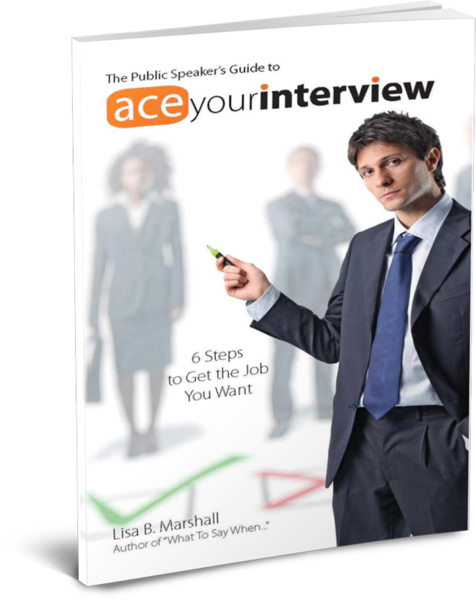 Now when you purchase Ace Your Interview, you will be entitled to a FREE UPGRADE to newest version, Red Duck Interviewing, coming in October 2016. You’ll get Ace Your Interview today, plus Red Duck Interviewing and all the special launch bonuses just as soon as they become available! “This short book provides more homework than any other audiobook I’ve enjoyed – and I’ve listened to hundreds. Lisa B. Marshall’s insightful, tight, and well delivered book gives points novices or experts will readily want to implement. Her admonitions range from the simple, e.g., discussing the importance of smiling, to the complex, e.g., creating a cross-referenced database of accomplishments as they relate to job description components. All of this for $7.93. What a bargain for the gift of employment! 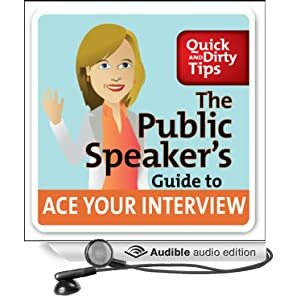 Listen to an audio excerpt of Ace Your Interview. The above offer is for the ebook. P.S. Prefer to listen to audiobooks? Click on the image to buy the audio edition of Ace Your Interview!